It is necessary to note that with Zoloft, Asperger’s treatments using this medication are considered “off label." In other words, the FDA has not officially approved its use. 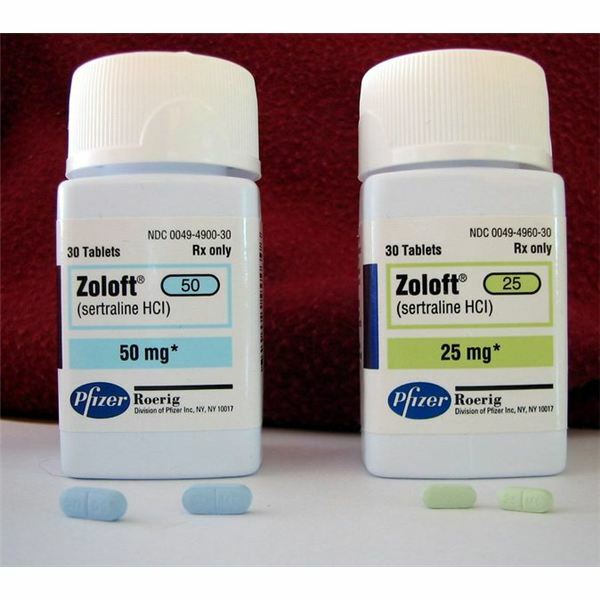 Zoloft is part of a class of medications called selective serotonin reuptake inhibitors or SSRIs. These medications are primarily used to treat anxiety, depression, and obsessive-compulsive behaviors. SSRIs affect the levels of serotonin in the brain, thus contributing to more stable brain chemistry. For Asperger's patients, adjusting the brain chemistry through the use of SSRIs helps with select symptoms. The exact way in which these medications work is not completely understood. As required by the Food and Drug Administration (FDA,) all SSRI medications must carry a “black box" label, the strongest FDA warning available. This is due, in large part, to the tendency of a very small number of patients to experience suicidal thoughts and ideations while on SSRIs, especially patients under 25 years old. Therefore, there are few FDA approved uses of Zoloft, at least for those under the age of 25. In spite of the “off label" distinction of such medications as Zoloft, Asperger’s patients, including children, often derive great benefit from these prescriptions. The FDA has only approved Zoloft for the treatment of children aged seven or older with obsessive compulsive disorder, but many parents of AS children report significant improvements in their child’s Asperger's symptoms such as social anxieties, depression, and restrictive and repetitive behavior patterns. Adults with Asperger’s syndrome also report an increase in functionality with regard to their social anxieties, depression, and other symptoms. Most commonly, these patients report little assistance with obsessive thoughts while on Zoloft, but other symptoms are reduced or even eliminated. Some report healthier sleep patterns, a better ability to function in social settings, improved outlook on their own lives, and a reduction of the need to follow restrictive behavior patterns. Others, however, report little to no reduction in any symptoms. Naturally, as with any treatment, each person will have a different experience in terms of effectiveness, side effects, and other factors. Zoloft is commonly considered to have a lower risk of uncomfortable side effects than other SSRIs. However, side effects are still common and can include nausea, bowel irregularity, drowsiness, loss of appetite, excessive sweating, or sexual dysfunction. More severe side effects can include hallucinations, blurred vision, seizures, abnormal bruising and unexplained fevers. These severe side effects require immediate medical attention. As previously stated, the FDA requires “black box" labels for all SSRIs, including Zoloft. The increased risk of suicidal thoughts or behaviors, especially in children and young adults, warrant close monitoring of young patients. Parents of AS children should discuss with doctors and medical caregivers the risks of such medications versus their expected benefits. The treatment of Asperger’s syndrome and other pervasive developmental disorders varies from patient to patient. Some treatments might include occupational and behavior modification therapies while others require medications such as atypical antipsychotics or SSRIs like Zoloft. Asperger’s syndrome treatments are never a one-size-fits-all package. Instead, each patient requires varying levels of different therapies, medications, or interventions based on their response to treatments, level of disability, and other factors. Parents and caregivers should never expect one treatment path to cover all symptoms and behaviors. Instead, each treatment option addresses specific goals and targets specific symptoms or challenges. If your child or loved one is struggling with anxiety, depression, or obsessive behavior patterns commonly associated with Asperger’s syndrome, discuss the use of medications such as Zoloft with your doctor or medical care provider. Weight the risks versus the possible benefits. If you choose to trial Zoloft, carefully monitor for changes in behaviors, mood, and thought patterns.